You may have seen that we’ve got a bit of a thing for Earthlock: Festival of Magic and its quest for an Xbox One release. 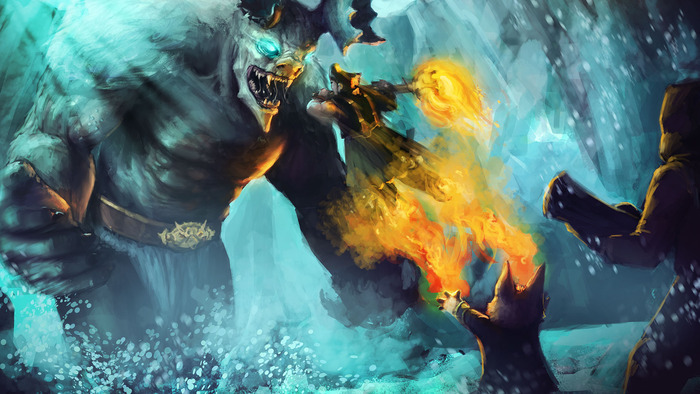 Snowcastle Games have taken to Kickstarter to fund the rather delightful project and, with that in mind, we thought it a good idea to try and grab a few words off them. With just a few days left of the Kickstarter campaign, Bendik Stang, Earthlock’s Game Director was more than willing to answer a few of our questions. Grab yourself a brew, sit back and see what Ben has got to say about the Festival of Magic. Please introduce yourself. What is your role at Snowcastle Games? I’m Bendik Stang, I work as the game director which sort of translates to keeping the team on track while getting in as much time developing stuff myself as I can in between. So….sell it to us. Why should gamers back Earthlock: Festival of Magic on Kickstarter and then ultimately buy the game on Xbox One? We’re scratching an itch we have ourselves for a colorful, vibrant, story-driven game. We also miss strict turn based combat in games, and it’s a really good fit for Earthlock. So if you’re into that as well, check us out! You can get the game for the Xbox One on the $20 tier, so you won’t need to buy it after supporting the kickstarter! Where did the idea come from and were there any games which gave inspiration? Earthlock came about after we had finished up our previous project, an interactive storybook/adventure game for kids called “Hogworld: Gnarts Adventure”. We sat down and had a round table at the studio where we talked about what our dream project would be. We’re all big RPG fans at Snowcastle, and we all had stories of playing turn based RPGs when we were younger. So it felt like the only path we wanted to take. The initial idea for Earthlock came about shortly thereafter, I think in 2011, and we started prototyping that year. The world, which is a post-catastrophe world with a strong sprinkling of steampunk, sort of grew organically out of what we as a group think is cool to work with. We draw from all sorts of influences. Between us we consume a wide variety of games, movies and books! What made you take the leap from the iOS game you started out with, to developing a next-gen Xbox One game? Was this always the plan once the idea of Earthlock came along? We’ve made a couple of leaps as a studio, actually. When we started out we did contract work and flash games before migrating to Unity and iOS. We’ve always wanted to make a larger game for home computers and consoles though, so once we finished up Hogworld we sat down and talked about what we wanted to make, and Earthlock came out of that round table. We noticed there’s a character, Gnart, set to be in Earthlock: Festival of Magic who seems to have carried over from your previous title, Hogworld. Do you guys have a bit of a Gnart love-in going on and what’s the story behind the little guy? Yeah, Gnart grew up a little since Hogworld, but he definitely carried through. We got a lot of good feedback on Gnart, and we kinda like him as a character so we decided to let him join in on Earthlock as well! He acts as a counterpoint to Amon’s adventurous, jump-into-action character. It’s a turn based combat RPG through and through but if you could only choose one unique feature that makes it stand out from the rest what is it? Combat pairs, coupled with the grow and harvest your own ammo, makes Earthlock stand out a little from a straight turn-based combat system. We think the pairing gives a unique dynamic to the combat with combined units and the customisation opportunities of the party it offers. Kickstarter is your main hope behind funding this, once the goals are complete what is the next step? What happens if the worst happens and your targets aren’t reached? Do you have a Plan B? Once we are successful we’ll ramp up production of Earthlock! We have collaborated with great people to get Earthlock to the alpha state it’s in, and once we see the funds we can bring those people aboard again and speed up production of story, assets and get the game out by 2015. As for plan B, yes we are looking at other ways of getting the funds we need, but nothing is certain. One thing we know for sure is that we will not lie down and give up. Looking at the Kickstarter add-ons, there’s scope for another two volumes so do you already have an idea of where the story will end? Will the gamer ever uncover the mystery behind Umbra coming to a standstill? If you don’t make the stretch goals, will there be a chance to see some of it drop later on as downloadable content? Yes, we have the large arcs for the story pretty much in place. If the players will ever uncover the secrets… well we can’t spill that kind of story beans.. hehe. Our talented writer Magnus will deliver an exciting story though! We have every intention of finishing the whole story arc. Many will look at 2015 and feel it’s still a long way off. Are you hoping to get Earthlock out within the next 12 months or will we be needing to wait a little longer? We’re aiming for Q1 2015 for the PC/MAC and Q2 and onwards for all the other systems for the first episode. As far as we can gauge the process, we’re going to reach that goal. And finally, are there any plans to show the game off at one of the big gaming conventions this year? Eurogamer or E3 perhaps? We were at GDC in San Francisco showing our game. As far as more trade shows, I think we will try to focus on production for the near future after the kickstarter is over. We’re all itching to see the game get built. Thanks go out to Bendik for agreeing to this quick Q&A. You can find him and the rest of the Snowcastle team over on Twitter or via the official Earthlock: Festival of Magic site. 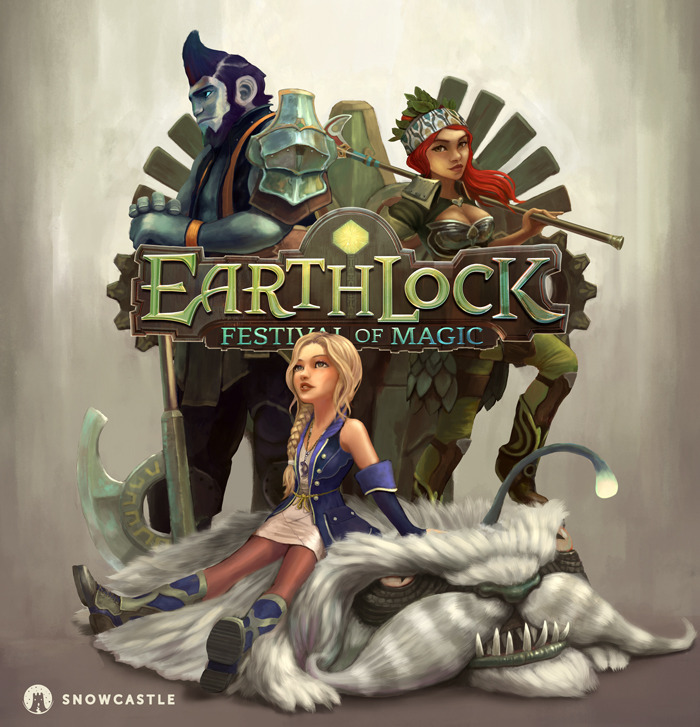 Obviously we must point you in the direction of the Earthlock: Festival of Magic Kickstarter page. Snowcastle would appreciate as much funding or sharing of the page as you can give them. It’s looks like a cracking game and we can’t wait to see the game appear on Xbox One sometime in 2015. If you’re unsure, check out the Kickstarter video below….we’re pretty sure you’ll change your mind and feel that it’s more than worth your $20 (at least! ).